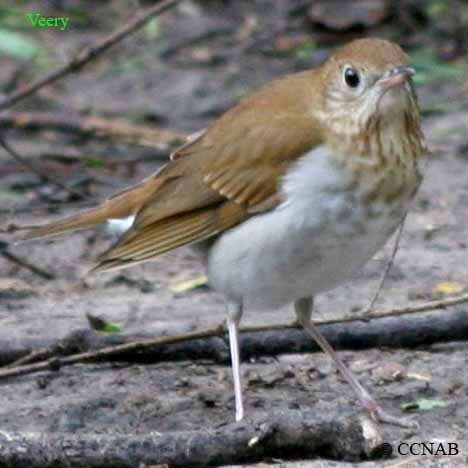 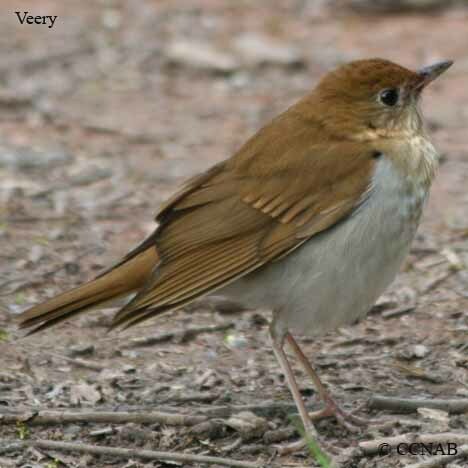 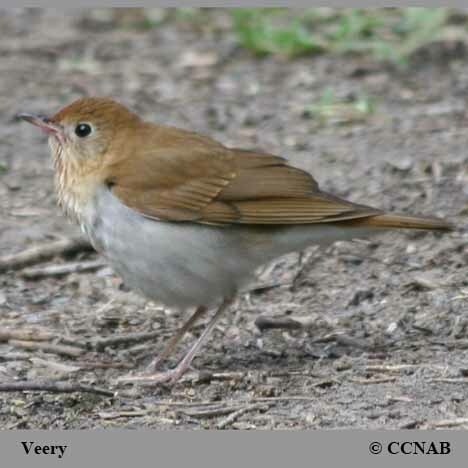 The Veery is a member of the thrush family. 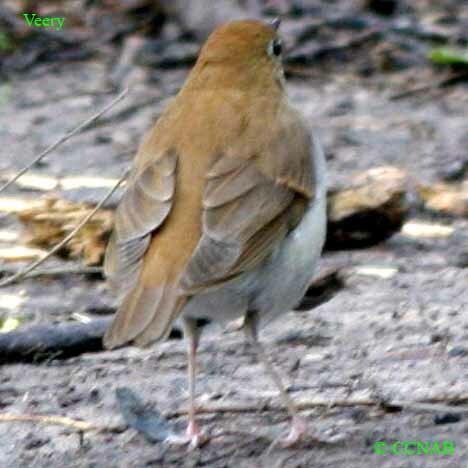 This orangish-brown forest bird has soft brown-speckled spots on its neck. 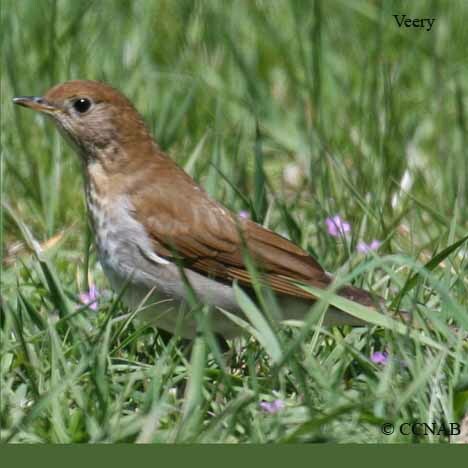 Because it feeds mostly in the undergrowth, it is more often heard than seen. 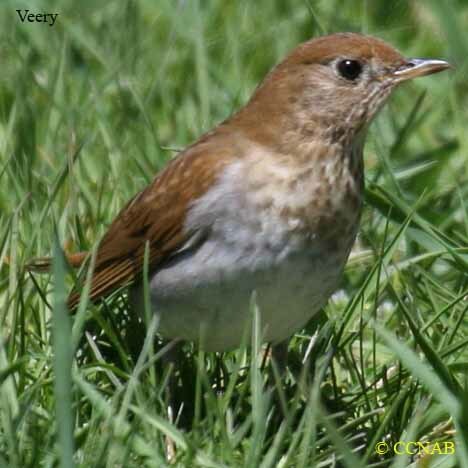 The beautiful songs of this thrush sound like a musical instrument.